Considering what Boston is like in winter, the move to Orlando was a stroke of genius. Everyone appreciated Orlando’s mild weather, though we did see some rainy and chilly days (but this was nothing compared to cold and snowy Boston at the time). There was some concern the move to Orlando would reduce this year’s attendance. But that certainly wasn’t the case. Credit for the Symposium and for moving it to Orlando goes to its five Directors: Dr. Jeremy Ruskin and Dr. Moussa Mansour of Massachusetts General, Dr. David Keane of St. Vincent’s University Hospital in Dublin, Ireland, Dr. Vivek Reddy of Mount Sinai in New York, and Dr. Pierre Jais of the French Bordeaux group. Most of the heavy lifting and logistics were done by Dr. Ruskin and Executive Director, Muriel Corcoran, along with her colleagues Robert Matthews, Genevieve Finnegan and Kristine McCarthy. My report on the 2014 Boston AF Symposium are divided into two parts (click title to jump to my in-depth reports). The Symposium was held at the Orlando World Center Marriott, the largest Marriott hotel in the world which is a tourist attraction in itself. With 2,009 rooms, all the Symposium attendees for the first time could stay at the same hotel. And, unlike Boston, going outside was an option rather than a necessity. The Cypress Ballroom, one of the largest ballrooms in the world, held the Symposium conference and exhibits with lots of room to spare. The Marriott entrance and lobby is a jaw-dropping, impressive architectural achievement. (Riding the glass-walled elevator to the 28th floor was an awesome, dizzying experience with an incredible view.) The four pools with their speed slides and innovative design were fun to walk through. The grounds featured an 18-hole golf course, waterways and small lakes with fountains that were relaxing as well as beautiful, especially after spending 10-11-hour days concentrating on heavy-duty, content-rich talks on A-Fib. From my perspective, I would describe the overall mood of the Symposium as “Moving On Up” (like the theme from The Jeffersons, a 1975-1985 sitcom). 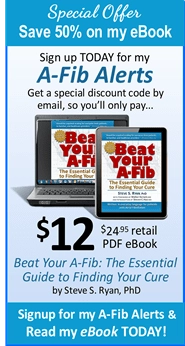 Both the Symposium and the field of A-Fib feel like they’ve reached new plateaus— onward and upward! 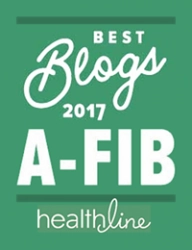 Developments in the A-Fib field signaled or presaged a new level of service of A-Fib patients, even though much work still needs to be done to translate these new developments into better treatments. When I consider all the presentations, the two most important and most discussed topics were fibrosis and the non-invasive body surface mapping system (ECGI) being used and developed by the Bordeaux group and other centers. The most startling and unexpected news was the recently announced failure of renal denervation to reduce blood pressure in the Simplicity HTN-3 trial. The Symposium ran for three days Thursday through Saturday, January 9-11. 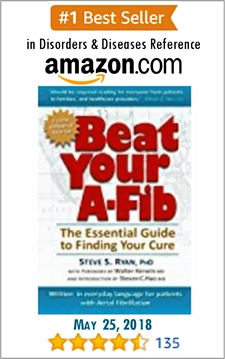 The various presenters were a ‘Who’s Who’ of thought leaders in the A-Fib field from around the world. The schedule was really tight. I counted 67 different presentations each 10-20 minutes long, and two long panel discussions. Forty-six different faculty presenters were listed, but some did double duty and gave more than one talk. Some presented via satellite from overseas. Everything started exactly on time. Speakers weren’t allowed to exceed their allocated time under pain of *****. Very few did. (For instance, one presenter who went over time was politely reprimanded by the second speaker who, in turn, had to shorten his presentation to stay on schedule.) Dr. Jeremy Ruskin and the other directors made sure every presentation started on time while still allowing attendees to drift back in after lunch or breaks. Presentations were organized around topics such as Stroke Prevention or Fibrosis. Seven to eight speakers would give short, concise talks with slides, usually followed by a panel and audience discussion with all the speakers. 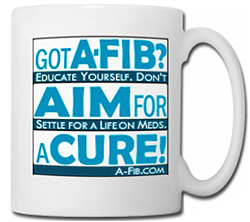 The discussions after presentations were an incredible opportunity for the best minds in the A-Fib field to exchange ideas and viewpoints, argue, and expand our thinking about the major issues and challenges in A-Fib. Areas of controversy could generate some polite academic heat which made for a lively audience experience. As in previous Symposia, the audience had clickers to interact with the speakers. For example, a speaker describing a difficult case could give the audience five different choices of treatments. Within ten seconds the results were flashed up on the screen. The Exhibitors represented all the major companies in the A-Fib field. The Exhibits were located in the room right next to the meeting ballroom and were quite extensive. Lunch and snacks were also served there allowing plenty of time for attendees to visit and interact with exhibitors. The Symposium Directors made a point of thanking the Exhibitors for contributing to the success of the Symposium and for not trying to influence the content of the presentations. The exhibits are very important for most attendees. For example, a doctor can actually try out a new catheter in their hands and see how it feels and works, or they can see how a new imaging/modeling system would work in their practice. The most impressive technical achievement of the Symposium was seven live satellite ablation cases including one from Siberia. The satellite cases alone were worth the price of admission. In previous Symposia two or three satellite cases would be interspersed with pre-recorded videos. But this time they scheduled seven live cases back to back. 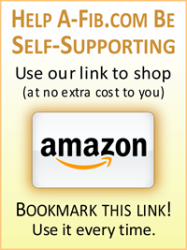 they even intercut between sites. If one doctor finished a particular task, they would cut to a second or even a third site to see how that team was progressing. The second session focused on Challenging Cases in AF Management discussing primarily drug therapies. One whole session dealt with fibrosis: Inflammation and Fibrosis in Atrial Fibrillation: Cell to Bedside with seven speakers. A short session dealt with Screening for Atrial Fibrillation with two speakers. And the final Thursday session dealt with Quality and Safety in the EP Lab with three speakers. Friday morning from 7:00 am to 12:30 featured seven live satellite case presentations from around the world, including one from Siberia! Friday afternoon’s first session focused on Stroke Prevention with seven speakers. The last Friday session featured a number of loosely related topics Clinical Trials, Guidelines and Regulatory Issues with eight speakers. Saturday’s first session featured presentations on Advances in Mapping of A-Fib with five speakers. The next session dealt with Persistent A-Fib – Advances in Catheter Ablation with five speakers. The first afternoon session dealt with New Technologies for Catheter Ablation with eight speakers. 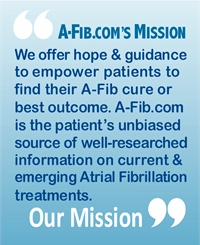 Saturday concluded with Challenging Cases of A-Fib Ablation focusing on ablation strategies more than drug therapy.